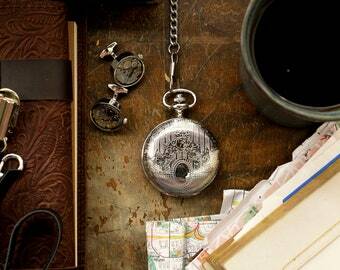 Keep the adventure with you, ready anywhere and anytime with a silver steampunk pocket watch, paired with your choice of wearable hardware option, because adventure happens when you least expect it. Its a need as old as time - the option to keep the time at your disposal and with several options to choose from, how you keep time at your beck and call is up to you. Choose one of two color fob sets in two different colors to suit your needs or select a necklace chain to wear this timepiece around your neck - or simply select the classic option of the watch only that automatically comes with a pocketwatch chain for your convenience. AtticRaiders is also pleased to offer a one year warranty card, see the details about this card below, with all watches purchased from this shop. Feel good knowing that your purchase is looked after from start to finish. 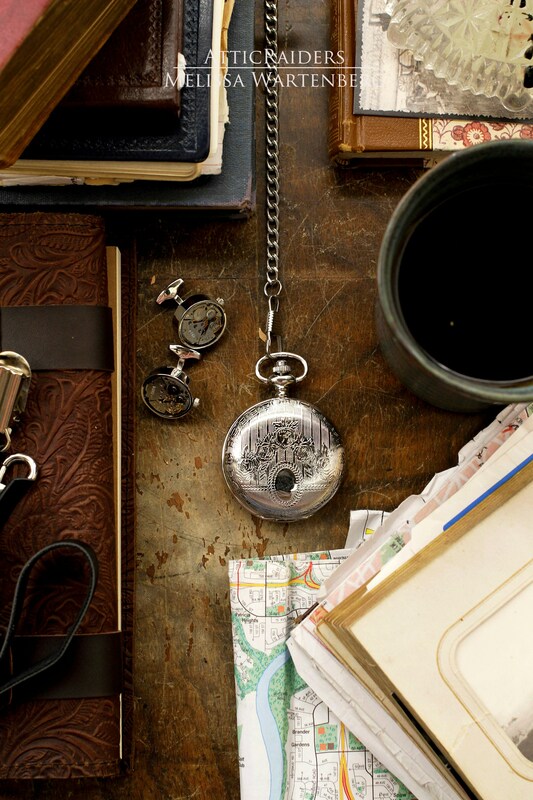 This pocketwatch is made with a winding mechanism so it will need to be wound up every 24 hours. Scroll down this listing to read about how to care for this watch, set the time and more so you feel confident about your purchase. Inspired by the watch designs of the Victorian time period, enjoy the elegant style of an item that men and women can equally enjoy and welcome as a gift idea. Keep tabs during the adventure with a watch thats not only functional but handsome looking too so you know your style is on point at anytime. Let the fun begin! 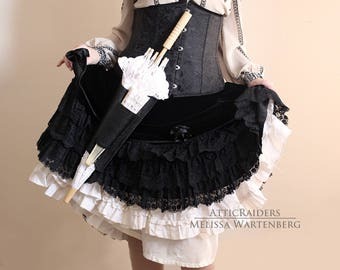 - clamp belt can clamp onto a belt, corset etc. Almost any piece of clothing that has some thickness and/or sturdiness to it is recommended for the clasp belt for best results. - Spring clasp belt fob simply clasps onto wherever you have someplace to clasp it to. - Keep it clean with the cleaning cloth provided to wipe away fingerprints, dust, etc. - Push the crown back in to lock the hands in place. You'll know when its locked as a slight click may be felt or heard and the hands of the watch wont move around as your turn the crown. 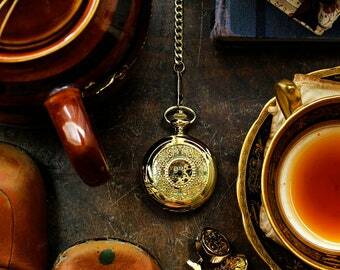 * Brequet: a type of watch hand in the shape of a circle(s) with a point extending from the circle. Warranty cards are included per watch and are valid starting from the date of purchase for up to one year only. The cards cover a one time replacement of the same watch or with something similar, or repair of the watch, but only covers manufacturing failure. The warranty card does not cover misuse or damage due to abuse by the new owner of the piece such as, but not limited to, over-winding, dropping and breaking the crystal or wetting the movement etc. Customizations to the watch render the warranty card invalid and make the watch Final Sale. 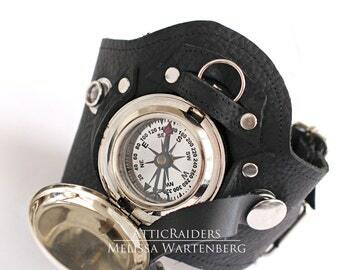 An extra cost may apply- a shipping fee for a shipping option that includes a tracking number is paid by the customer to ship the watch to AtticRaiders. Return shipping cost of the watch is paid for by AtticRaiders. To claim a warranty card, the watch MUST BE shipped back to AtticRaiders WITH the warranty card as proof of purchase otherwise the watch repair/replacement request will be denied and/or sent back. - Any and all body parts, backgrounds, background stuff and other things in the pictures are not included in the sale of this item. 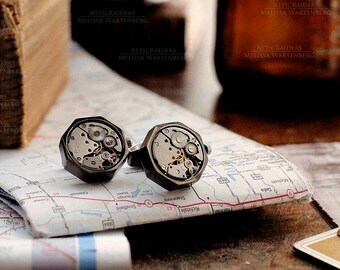 You are purchasing a watch accessory – parts are not replaceable if and not limited to, broken, stolen, lost, etc.